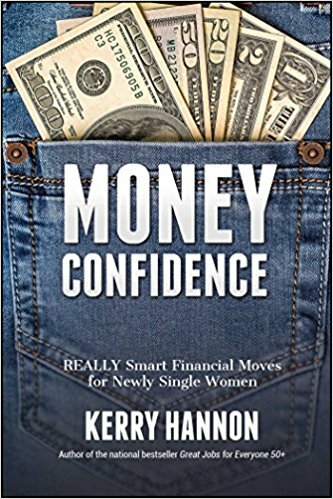 Dealing with money issues as a newly single woman (whether widowed or divorced) is the topic of Kerry Hannon's recent book, now in paperback. Hannon offers on-point advice to help newly single women rebuild their lives and get a grip on their finances as quickly as possible. Information includes practical, can-do suggestions that cover he gamut from creating a budget to investing, where to turn for financial advice and how to tackle estate planning. The book includes tips for getting physically and spiritually—as well as financially—fit to succeed in building a rich, independent life. While basic, it will be useful to women who need a survival kit to help protect the assets they have, pay the bills, organize their incomes, and navigate through grief with positive action steps. Hannon is a personable, nationally recognized expert and strategist on career transitions, personal finance and retirement. She has spent more than two decades covering all aspects of careers, business and personal finance as a columnist, editor, and writer for some of the nation’s leading media companies, including The New York Times, Forbes, Money, U.S. News & World Report, and USA Today.